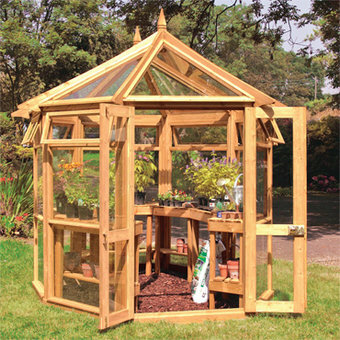 The Edwardian Greenhouse is our premium wooden greenhouse and is available in two sizes. 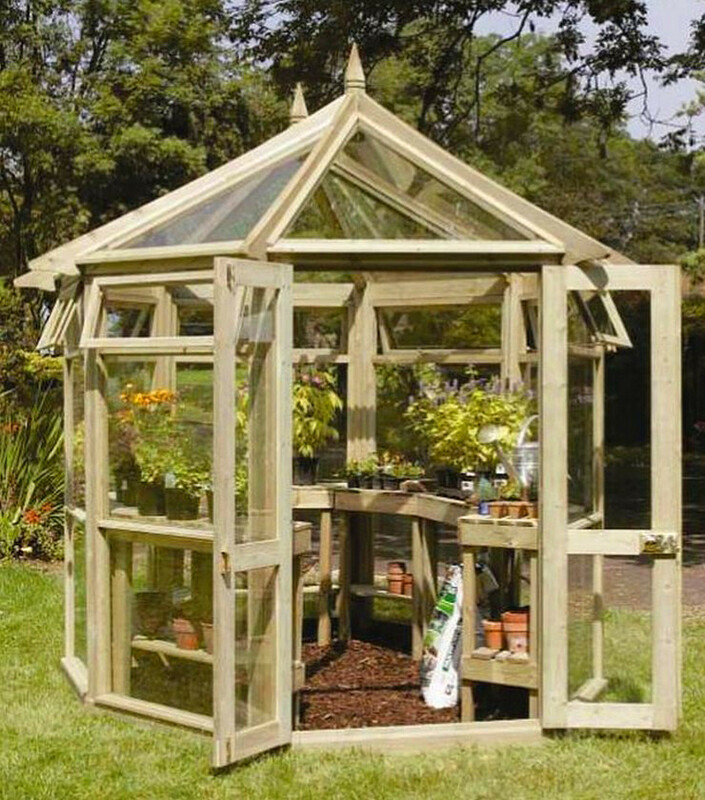 This elegant and grand octagonal greenhouse will look simply divine within your garden. It offers plenty of space to cultivate young plants and seedlings and comes complete with a wooden staging set. As with all of our wooden greenhouses the Edwardian Greenhouse has been built to last and is manufactured from FSC approved pressure treated Spruce with a 10 year guarantee. The glazing is 4mm toughened glass and brass door fixings are included as standard. 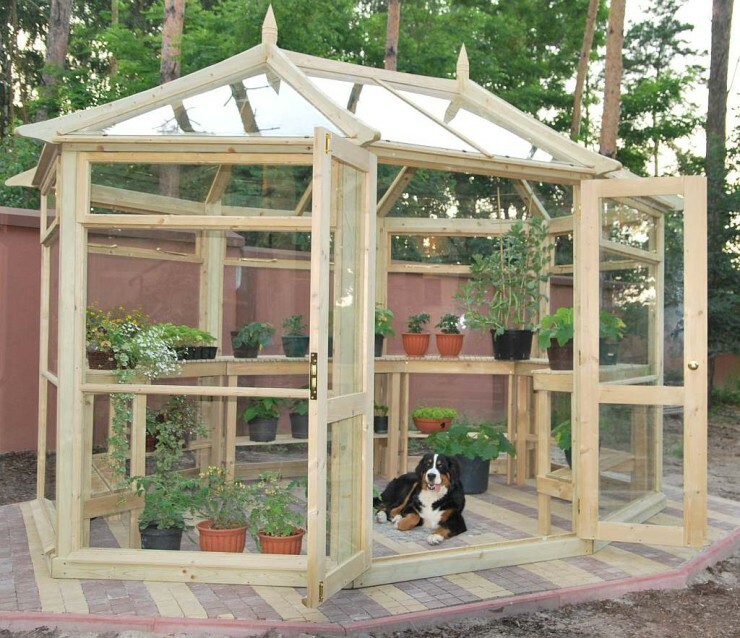 This wooden greenhouse is delivered flat pack with assembly instructions incuded.